This is a detail of a picture which is part of the Build the Platform project and exhibition. Concept by Miranda Veljačić i Dinko Peračić – Platforma 9.81; Photographs by Damir Žižić, Marko Ercegović, Dejan Štifanić; design by Damir Gamulin. The history of the development of the independent cultural scene in Croatia in the last twenty-five years has been closely linked to the struggle for premises for work space and representation of cultural organizations, initiatives, collectives and individuals' programs. The political and social paradigm changed in the 1990s and consequently relations in the cultural sphere changed. A re-evaluation of all values, done in the "nationalistic" key comprising tradition, religion and privatization, no longer had any room for so-called urban, alternative, critical and independent culture, nor for the spaces which could strengthen its production and presentation. Social clubs and youth centers in local communities were closed and public and common areas that were prerequisite to the development and survival of that culture were privatized or commercialized. For most of cultural actors, the 1990s meant constant dislocation, displacement, squatting. Despite the recognition of the independent cultural scene as a public need in national and local budgets in the beginning of 2000's, these shifts in financing policies did not result in necessary changes to ensure stable development of independent organizations. Still there is no long-term support nor financing of overhead expenses, and problems with the physical resources for the programs have not been tackled yet. In 2003, Platform 9.81 implemented the project Invisible Zagreb, which mapped abandoned urban spaces and analyzed the needs of the independent scene. The survey showed that 34% of organizations do not have their own space, and the remaining 66% rent the place at market prices with almost 60% of them using inadequate facilities. To a greater or lesser extent, almost all independent cultural organizations in Croatia are faced with the problem of lack of space for the production and presentation of their work. Therefore, highlighting these needs and the benefits of the revival of unused space for new purposes, more initiatives have become active in advocating change. Despite the fact that in many cities there are free spaces, often abandoned military or industrial buildings, the processes of opening up, conversion and renovation of these spaces is generally very slow. 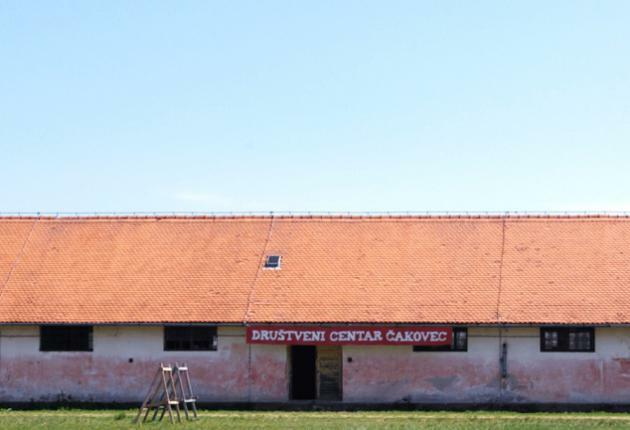 The conversion of spaces is a long process as it requires planning, which is rare in Croatian cultural policy at the local and national level, and the public is generally excluded from these processes. Some buildings are owned by local communities while the largest number of real estate are those of former military purposes that the Ministry of Defense (MORH) inherited after the dissolution of Yugoslavia. It is a striking fact that Croatia lists fifth in Europe, behind the Scandinavian countries, with the largest number of state-owned property. Only in 2013 did MORH announce that non-perspective military property, 392 premises, would be transferred to the State Office for State Property Management (DUUDI) which in its turn stated that these would be made available to interested parties which met the most important criteria - development projects and compliance to town-planning schemes. It had earlier announced that the non-perspective military property won't become accessible to civil society organizations but only to local governments. The problem arising from such decisions is the space for discretionary lobbies by which local governments have already obtained possession of representative spaces, but have done nothing with them or have initiated fully commercial activities in them. Given the tendency of local governments to consider concession as the best solution for infrastructure, temporary use of the space is still an unknown term when it comes to property management. Since local authorities are rarely able to initiate any social contract for the benefit of local communities, cultural and civil society organizations are faced with problems on many levels. Due to an invidious situation in terms of space for work and the presentation of independent cultural scene programs, in recent years the idea of socio-cultural centers began to gain visibility in several local communities. Socio-cultural centers represent a new form of cultural institutions connecting art and culture with broader civil and social activities. At these centers, communities create and consume, in principle, non-profit events. It is where critical and reflective practices of contemporary art and culture take place, where social activism grows and economic activities aimed at communities and commons are cultivated. Currently, the most visible initiatives that have entered the competition through partnerships with local governments are in Split, Rijeka, Pula, Karlovac and Čakovec. The model of governance for these centers, pursued by all initiatives, is based in civil-public partnership - Pogon's model. In 2003, clubs Attack, Močvara and Mama convened a public conference on the uncertain situation they were facing. The campaign soon focused on a broader advocacy of the entire independent cultural and youth organizations scene, rather than on individual cases. One of the key points in the campaign was the manifestation Operation: City, which took place in September 2005 in the former industrial buildings of Badel and Gorica. Operation: City was a ten-day festival, during which 26 organizations organized seventy events, and was recognized and supported by the public and the media. It was organized by an informal initiative composed of two national networks (Clubture and Croatian Youth Network), organizations gathered around local collaborative platform Zagreb – Kapital of Culture 3000, and three non-profit clubs (Mama, Močvara, Attack), which later called itself Alliance for Center for Independent Culture and Youth, and registered as Alliance Operation City in 2006. They've demanded that the City of Zagreb provides facilities and builds an adequate institutional model that will enable participation and co-decision-making, and not just grants use of space. Key decision makers in the city government promised a solution, but that was all that happend – nothing really changed. The campaign was set. The manifestation Operation City: Unity 2007 indicated a new phase in the struggle. Soon, the Interim Illegal Center for Culture and Youth was opened in Jedinstvo and it functioned as a resource for programs to a wide range of organizations that simultaneously developed a new model of use and management. Running up to elections the pressure of a wide range of actors finally resulted in forming an institutional model between the city and Alliance Operation City. In 2008, a contract for the establishment of a nonprofit public institution Center for Independent Culture and Youth - Pogon was signed. The management model was a civil-public partnership, setting out from an equal co-determination and management model. This made Pogon the first such public institution in culture in Croatia and the region, which built an example of appropriate legislative framework for the creation of centers in other cities. Currently, the preparation of the reconstruction of Jedinstvo is on the way and it tackles the original idea of a center that exists in multiple locations and conducts various types of programs, not only cultural, for different audiences. Over one hundred associations currently use the former military barracks Karlo Rojc in Pula, the largest building in town - covering about 17,000 square meters. Rojc life is vibrant: there are tens of festivals every year and hundreds of other programs and activities. Most organizations belong to the field of art and culture. In 2008 the Rojc Coordination was established as a joint management body, including three representatives of Rojc based NGOs and three members of the governance of Pula, and their conclusions have to be approved by the responsible within the city government. Unfortunately, the city, not yet ready to share the decision-making power, has mostly obstructed the work of the coordination. In 2009, when Rojc users again protested against the refusal of the town to recognize the coordination' role, Pula's mayor accepted the Rojc settlers’ proposal to start with the designing of the real public-civil model of management. "It is a consultative model with a tendency of growing into a 'true' model of co-management and public-civil partnership which requires the establishment of public enterprise or institution, which would significantly improve the current management model", says Dušica Radojčić, president of the Coordination and of the association Zelena Istra, which concerns itself with protection of the environment, natural resources and social justice, participative democracy and public control over public goods. Rojc Alliance got to manage the space for joint activities called "Living room" on the ground floor, covering 260 square meters, and the room on the third floor of the north wing of the building, 530 square meters big, which is designed for a business hostel that primarily serves the guests of Rojc associations and can host artists in residence. Split Youth Centre (Dom Mladih), built for the Mediterranean Games in 1984 but never completed, is managed by a municipal body - cultural center MKC, also an associate member of advocacy initiative Youth Centre Platform. One year ago they met with city representatives after two full years of not having any contact. But to no avail, as ever since they still have no concrete information from the city of Split about what the city concretely plans for the Youth Centre. After the change of local government in 2013, the city proposed a television-conference center in Dom Mladih, with a share of associations' spaces there, but did not do anything about it, and even restrained financial support for minimal management of space. The Youth Centre Platform is planning a campaign in September and October, informing the public and advocating for a socio-cultural center, to boost the idea of a public-civil partnership with the city of Split. Dom Mladih is however in the cultural strategy of the City of Split, as well as in the strategy of cultural center MKC, and in the strategy of development of Split urban agglomeration for the period 2015-2020, currently in public debate. "The main problem is the question of trust and mistrust that exists between the independent cultural scene and local authorities. Things are developing very slowly, there is no one to pull the project, no one in local government who wants to succeed with it", concludes Miranda Veljačić, member of Platform 9.81, an association created in 1999 in response to problems of urban space culture, digitalization, globalization and the needs of new educational methods in architecture today. Čakovec's Platform 1729/2 was formed with the aim of creating a social center in the premises of the former barracks owned by Međimurje County, entirely left to the City of Čakovec to manage. Platform signed the agreement on the establishment of a new type of institution in July 2015. Except the barracks, the city government offered another two locations for the community center - two privately owned properties for which the city declared an intent to buy. However, they were not able to agree on the investments with the county. In the meantime, the former barracks were also put on sale, but no offer was made because of unrealistically high prices. All activities are now in status quo. The county and city are not interested in solving the spatial question for the center, and given the political and economic situation in Croatia and at the local level, members of the Platform are quite demotivated. 'We will see what to do and how to carry on. One option is to work on a multi-venue social center that would put into operation the existing usable spaces which are city and county-owned. There are around ten production and presentation spaces. But again, it all depends on the strength, motivation and the energy the Platform has, at times when its members struggle to survive, that is, not to end up at employment service', says Teo Petričević, president of ACT Group, a cluster of organizations and individuals who develop eco-social economies in Čakovec. A network of organizations and individuals KAoperativa was launched in 2012 with the aim of establishing a platform that will advocate for the independent cultural scene in the city of Karlovac, starting with creating conditions and places for work, funding, visibility and audience development. According to their research, Hrvatski Dom, a former cultural center established in 1932, was meant to be a central location for the development of culture and sociability in Karlovac. After a long process of negotiations, the city of Karlovac agreed that Hrvatski Dom will be transformed in a socio-cultural center. "There is a cooperation with representatives of the city, but there is no real political will to establish the socio-cultural center. Our basic idea is to bring it back to its original use as a multi-purpose facility for various forms of independent cultural, artistic and social themes, and in relation to today's needs, quality and lifestyle", says Denis Mikšić, member of association KA-matrix, part of the platform. In April 2016 part of the Hrvatski Dom called Mala scena and associated facilities, approximately 350 square meters, was handed over to KAoperativa to manage. The contract signed with the city lasts a year. The city supports all amenities with 30,000 kunas [approx. 4000 euros] per year, which is not much but covers the basic expenses. During the 1990s and early 2000s Mala scena was the incubator of the independent music, art and activist scene in Karlovac, but in ten years’ time all institutional support came to an end and the space and programs solely remained alive thanks to international donations and self-financing. The venues scattered around the city of Rijeka (the cultural heritage of Filodrammatica and Palach, industrial heritage of the former factories Hartera and Ivex) are program-managed by the Association Molekula and the city, which is committed to continuous investment in infrastructure. Marin Lukanović from Filmaktiv, a member organisation of Molekula, said in July 2015 that there is a general agreement between the city and Molekula on the governance model of the future socio-cultural center in Hartera. The alliance expects that by the end of 2016 the founding act of the new institution will be signed. The city has committed to continue investing in its' infrastructure and commissioned a study for the future socio-cultural center in Hartera. That study concluded that in terms of sustainability there is no cultural program which can bear the cost of maintaining such a large space, so it suggested additional activities as agriculture, housing, catering and letting office spaces. Rijeka was recently awarded with the title of European Capital of Culture 2020, based on its project 'Port of Diversity'. A key cultural project within Rijeka’s candidacy was the area of the former Rikard Benčić industrial complex which should be developed into a culture center which will include existing institutions only: the City Library, the City Museum, the Museum of Modern and Contemporary Art and the Children’s Centre for Culture and Education. Hartera as a socio-cultural center is currently on hold. In all of these cases, an important fact is these are existing venues, which indeed leave no great possibility to design the program as a starting point of their use, but recycling space is certainly one of the more humane and more responsible environmental concepts. In the context of culture, this concept is more visible as it might be less expected, precisely because it reinforces social segment which is based in the idea of the social center. There is a paradox in which all the initiatives operate in. On the one hand, independent cultural scene organizations still work in temporary conditions due to an unsustainable cultural policy, which over the past 25 years has led to over-programming and under-financing. On the other hand, governing large spaces and thousands of square meters is somewhat difficult because the conditions of these spaces aren't suitable for some of the programs. This paradox takes us to the next question – the one of sustainability of these efforts. The difficulties of finding a fixed financing infrastructure is probably the biggest obstacle of all. Apparently, there is no "bigger plan" of developing socio-cultural centers in Croatia - it is still a random idea which disperses throughout public calls, structural funds, development of strategies and national and local budgets for culture. Negotiations with public administration and networking with different actors at all levels will have to be continued, as dealing with large sizes and typologies of space needs greater understanding on both sides. An important dimension of future socio-cultural centers are cooperation opportunities which are opening up between cultural organizations and other actors within different areas of civil society (human rights, fair economy, social entrepreneurship) and the improving of models of civil-public partnership that will include other purposes, not only cultural ones. Therefore, the greatest emphasis in future battles for space will be on the concept of community and community needs: public space, commons, the cooperation between civil and public sector, the democratization of public goods and the creation of conditions for reflection, critical thinking and critical public discourse. This is a digest version of an article first published as The current state of socio-cultural centers in Croatia. The text was published through Connected Action for the Commons's website, a network and action research programme initiated in 2013 by European Cultural Foundation (ECF) together with six cultural organisations from across Europe. This version of the article was edited by Friso Wiersum and proofread by Vatroslav Miloš.